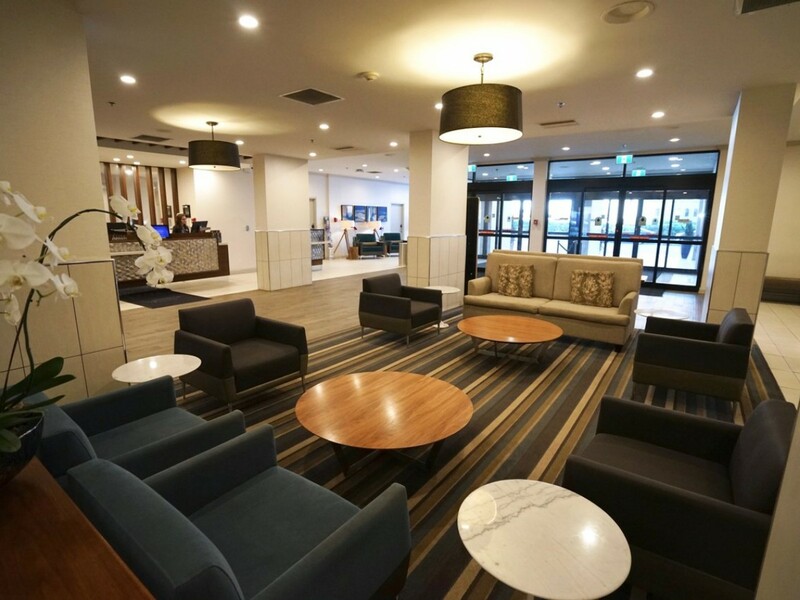 Couple blocks: The hotel is located in what is known as SHED – the Sports, Hospitality and Entertainment District – meaning there is always something to see and do. Within walking distance you’ll find Bell MTS Place, the city’s cornerstone for sports (home of the Winnipeg Jets and Manitoba Moose) and world-class concerts, as well as the RBC Convention Centre, a major meeting facility that hosts not only national and international business events, but public-geared conventions ranging from home and garden to cosplay. Bonus, both these destinations are linked to the hotel via skywalk – perfect for when that unpredictable Winnipeg spring weather does a little nose dive. Take an afternoon to explore the internationally acclaimed Winnipeg Art Gallery which features the world’s largest public collection of contemporary Inuit art, go on a guided tour of the Manitoba Legislative Building (complete with the iconic Golden Boy), or marvel at the multiple floors of the modern Millennium Library. 15-20 minute walk; 5 minute drive: Just across Portage Avenue you’ll find yourself in the city’s historic Exchange District, 20 blocks that combine heritage buildings with trendy tech start-ups, art galleries, restaurants, and shops. The history continues inside at the Manitoba Museum where you can climb aboard a full-size replica of the Nonsuch ship, walk the wooden plank streets of Winnipeg during the “booming” 1920s, or travel to a galaxy far, far away at the Planetarium. If you choose to hop east across Main Street you’ll find yourself at The Forks, an easy way to spend a day either walking along the river’s edge, browsing the multitude of shops in the Forks Market, or pulling up a chair for a local pint or two at The Common. The area also boasts Winnipeg’s newest eye-catching attraction - the Canadian Museum for Human Rights, which features breathtaking interior architecture that takes visitors on a journey from darkness to light, exploring contemporary and historic human right stories from Canada and around the world. 15-20 minute drive: Stop and shop at CF Polo Park, a centrally located, 200 store mall that’s anchored by Hudson’s Bay; enjoy the kilometres of trails, gardens, and greenspace of Assiniboine Park; or get an up-close look at northern animals including seals and polar bears at Assiniboine Park Zoo’s Journey to Churchill exhibit. 0 minutes: Inside the recently renovated 4.5 star hotel, guests are treated to some of the most modern in-room amenities in the city, from heated bathroom floors, to pillow-top beds, to balconies (the Delta is the only downtown hotel with this fresh air option). Any extra time can be spent doing some invigorating laps in the Odyssey indoor pool or relaxing in the whirlpool, enjoying a Starbucks beverage in the Urban Bean Coffee Emporium, or sipping a carefully crafted cocktail alongside some sharable at Blaze Restaurant and Lounge. With all this inside, you may not want to venture out at all.